The Tla-o-qui-aht First Nation (TFN) community and Human Services staff are busy planning for a Health Forum for March 5-7, 2018. The Huu-ay-aht First Nations are looking to generate wealth from an expected shortage of the world’s supply of liquefied natural gas by the middle of the next decade. A group of about twelve protesters gathered outside the Italian Hall where the Port Alberni Chamber of Commerce was scheduled to hear updates from Steelhead LNG and Huu-ay-aht First Nation. Tseshaht First Nation has filed a suit under the federal Specific Claims Tribunal Act to recover (or to receive compensation for) the loss of the Iwachis Reserve at the mouth of the Franklin River. Tseshaht First Nation has received a Premier’s Excellence Award for their full-throated performance in Exercise Coastal Response. Tseshaht First Nation hosted a boating safety workshop for commercial fishers on Thursday afternoon. A showcase of Indigenous acts is taking over a stage in Victoria this weekend – including a performance composed by an Ahousaht drummer. The B.C. Supreme Court has ruled in favour of a Huu-ay-aht mother who is fighting for time with her newborn after the baby was taken into foster care just three days after birth. 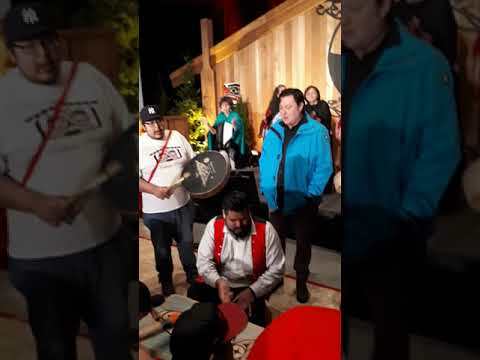 After years of waiting, a decision on how the federal government will honour a court judgement in favour of the fishing rights of five Nuu-chah-nulth nations is expected in the coming weeks. The federal and provincial governments will partner to provide high-speed Internet access to rural and remote communities on the B.C. coast, including Nuu-chah-nulth nations. “She was a person…” said a heartbroken relative of 18 year-old Jocelyn George, who died of heart failure after spending a night in custody at the Port Alberni RCMP detachment in the summer of 2016. J’net Ayayqwayaksheelth is doing her part to promote indigenous history in Canada’s largest museum. In the aftermath of a verdict that has sparked outrage across Canada, the Nuu-chah-nulth Tribal Council has pledged to stand with the family of Coulten Boushie. Excitement was in the air as the inaugural Nuu-chah-nulth Language Proficiency Certificate Program began its first day of classes at Port Alberni’s North Island College Campus on Feb. 2. “I was 100 per cent fluent; now I’m 80 to 90 per cent fluent,” said Hesquiaht elder Cecelia Tom of her proficiency in the Nuu-chah-nulth language. After decades of serving the spiritual needs of people of the Catholic faith in Ahousaht, on Feb. 7, 2018, St. Lawrence Catholic Church was bulldozed to the ground.